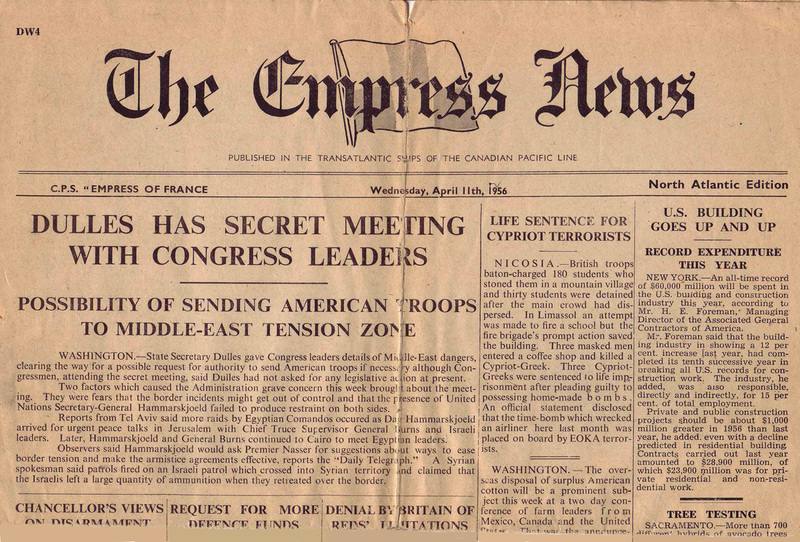 Empress of France Newspaper for Wednesday, 11 April 1956. In 1956 news was radioed to the Empress of France, and all other Transatlantic CP Ships for onboard printing as a daily newspaper. Each day my father enjoyed reading "the Empress News". 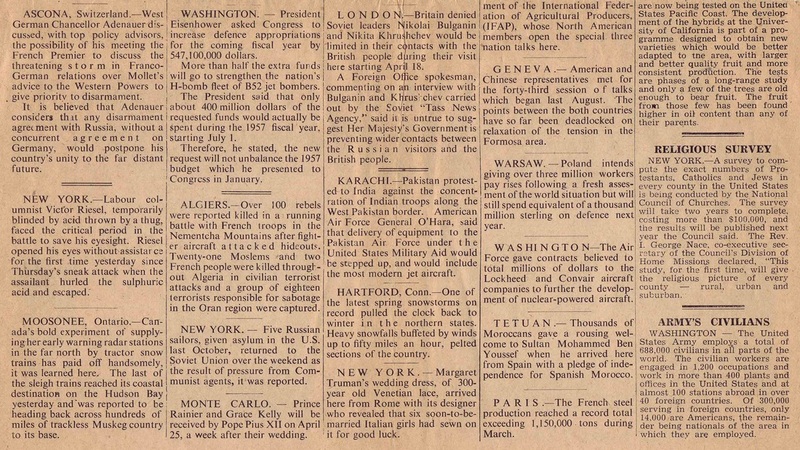 This newspaper followed us daily across the Atlantic Ocean. We saw no icebergs on our entire crossing even though we were in a sea route further north than that of the ill-fated Titanic. In the morning of 11 April 1956 we were south east of Cape Race, and no person person onboard realized that we were only about 600km north of where Titanic had sunk 44 years earlier. She first struck the iceberg and started to sink on 14 April 1912. Forty four years later to the day the Empress of France delivered us safely at the Port of Montreal.